magazine in our Reading Room. 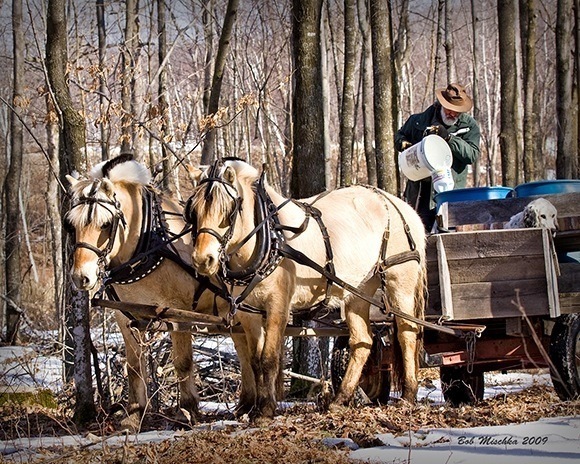 Above: George Merrill drives a young Shire at Troika Drafts in Hebron, Maine. Photo by Vicki Schmidt. 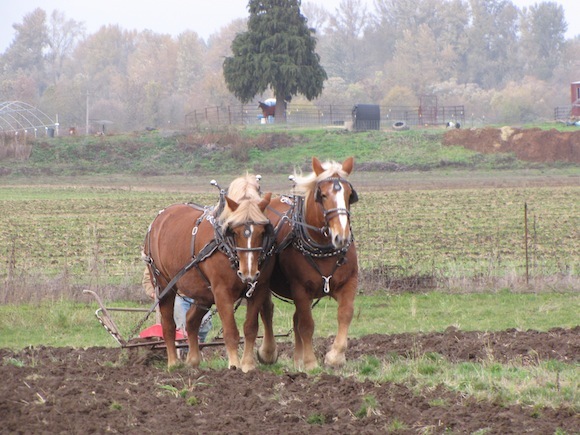 Visit our Bookstore for the most extensive collection of draft horse resources. Find and/or list a Horse, Oxen, Mule or Donkey Team for sale. Information on trimming, clipping, repair, materials, shoes, stocks, and forge work. 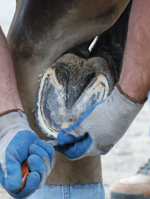 breeding, disease, EPSM, and much more. 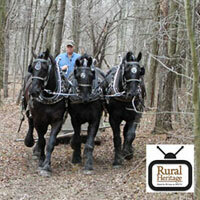 small-scale family farming and other aspects of our rich rural heritage. industry as well as small sustainable farming activities. Harness information, including a full line of custom harness and related tack. Above: Phillip Odden gathers map with the help of his Fjord team. This file last modified: August 28 2017.